You’ve probably heard the term “native advertising” but do you know what it means? Did you know you can use native ads to more efficiently market your child care center or preschool? Going native simply means placing ads in spots on a webpage where the viewer or user is naturally looking. 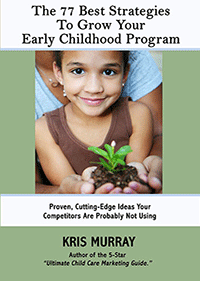 This will help get your child care noticed and help you to increase inquiries to your center. In today’s digital marketplace we are becoming increasingly blind to certain ad placements. For example, the effectiveness of the paid sidebar listings on a Google search page has lessened over time because people become used to ignoring them. It’s now become much more effective to be on the left hand side of the Google search results page right above where people are trained to look for their organic search results. Google considers these ads on the top to be native because they are in line with the area of the page where people are naturally trained to look for their results. Of course, even better than these native ads at the top of the results is to get your program at the top of the organic listings. However, some of you have been struggling with that and Pay-Per-Click advertising is one quick way to surpass this issue. You’ll really want to make sure you are listed on the left hand side of the page for the most effective marketing. You might have to spend a little bit more money but you’ll see great results. Your Google Adwords reports will tell you what position your advertising is in and you should try to get in that first or second spot. How does this apply to social media? A native ad in Facebook appears in the stream that most people are naturally looking at throughout the day which is the Newsfeed. On the right hand side of Facebook you will see a lot of ads but, again, people have been trained to ignore this column. Facebook allows you to boost or advertise a post to get in people’s Newsfeed. You can offer a coupon, sponsor a video, or boost a post talking about your great program. If you have a post that has been funny, engaging, or that has been organically popular within Facebook, get some traction out of it. Make your boosted and advertised posts relevant to parents and they won’t be turned off by seeing this in their Newsfeed. Most likely they’ll be interested! You want to show up and be noticed where the parents are hanging out. 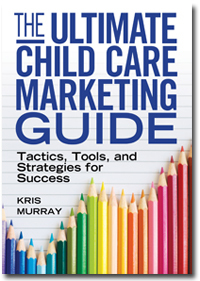 Consider where the ads for your child care center are showing up online and make the extra effort to show up on the native sections of the page. Realize people are increasingly prone to advertising blindness and make sure you get the best results from your online marketing efforts! 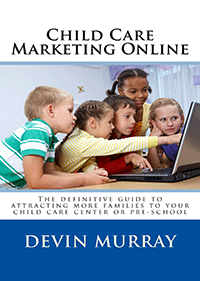 For more tips on using social media to market your child care visit www.childcare-marketing.com/social.